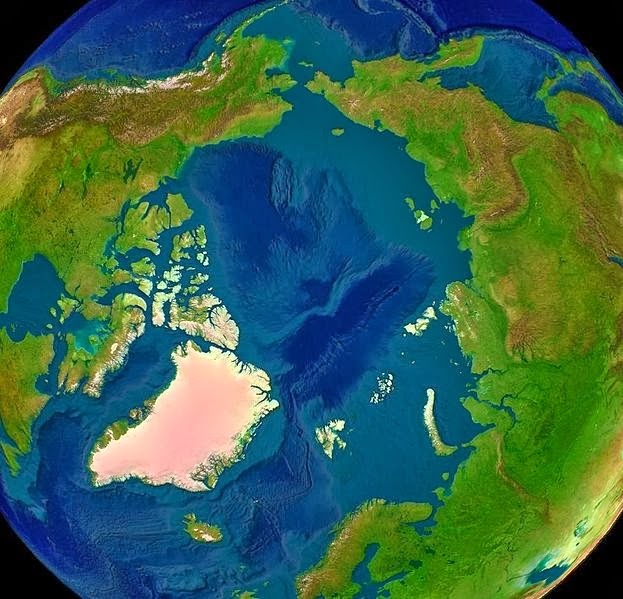 This is a NASA enhanced satellite map of the world that centers the North Pole. If one looks toward the top of the map they can see the regions of Alaska and Siberia. Towards the map's bottom are the tips of the European Nordic countries. Following the last post that briefly described the origins of the reindeer economy with Native Alaska this post illuminates the unique shared history between Native Alaska and the Saami, Sami or Sámi, an Indigenous people from northern Europe. They have also been called "Laplanders," which refers to the Native cultural geography they inhabit transnationally through Europe. 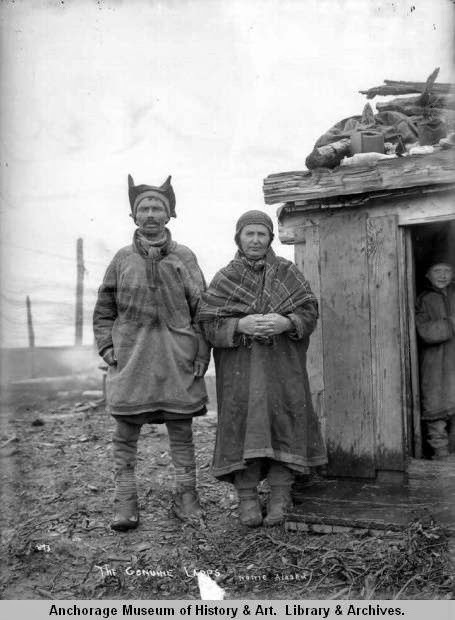 The picture below contains a Saami family in 1896 near Nordland, in Europe. The grownups to the left "are Ingrid (born Sarri) and her husband Nils Andersen Inga. In front of the parents are Berit and Ole Nilsen. The lady on the right is Ellen, sister of Ingrid. In front of Ellen are the children Inger Anna and Tomas. 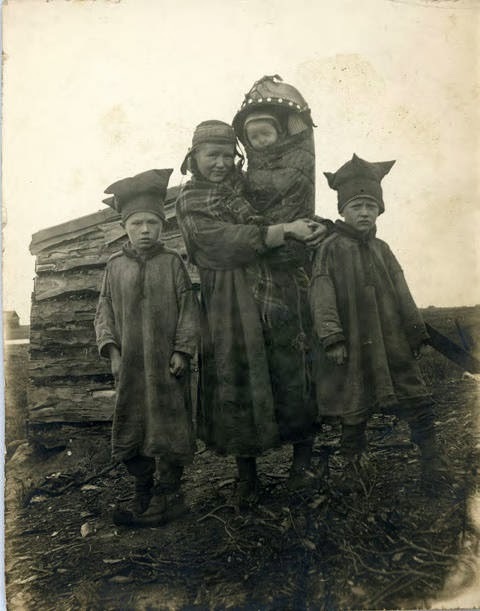 The children of Inger Anna are reindeer herders still today." 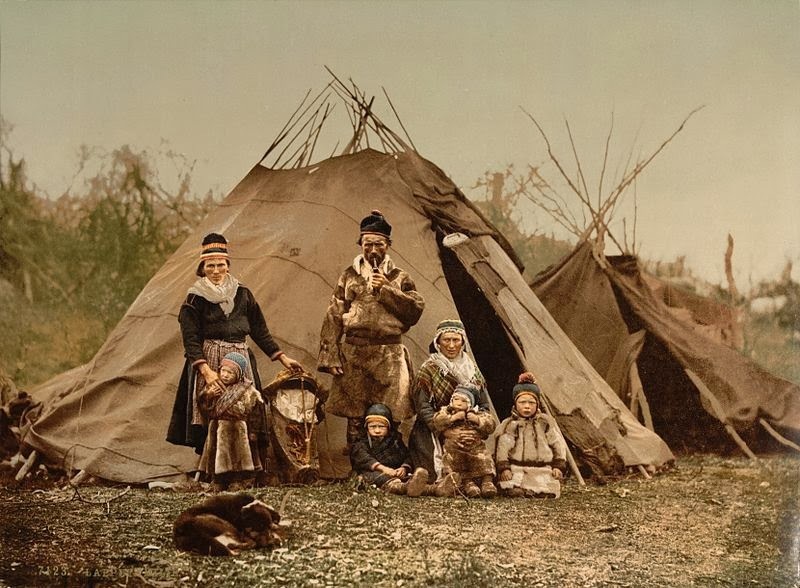 The photograph below depicts the first Saami family in Alaska taken three years later in 1889. In 1894, Sheldon Jackson began employing and importing Saami with aspirations they would help Alaska Natives take to the livelihood. Alaska Natives referred to them as the "Card people" because Saami hats and shoes resembled, to the Natives, the depictions on the face of playing cards. 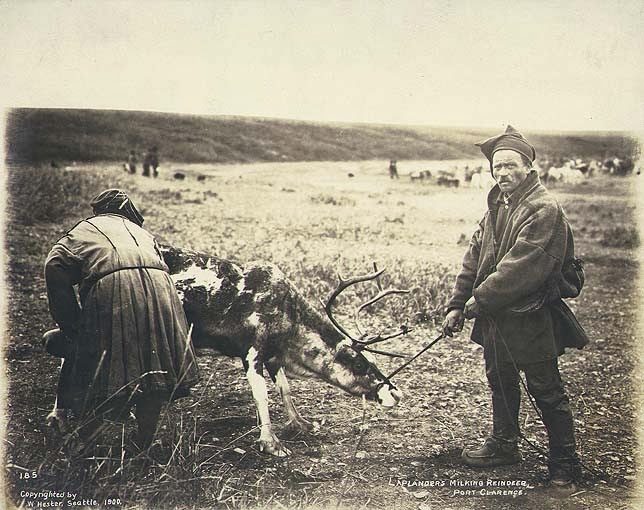 Government functionaries grew critical of the reindeer operation when by the early twentieth century Saami herdsmen owned the majority of Alaska reindeer. An Indigenous people, the Saami faced European colonization and the establishment of national borders through out their traditional lands. Since Saami culture revolves around reindeer it makes perfect sense that these people would take a leading role in the management of this economy, though Americans had poised this as an operation for Alaska Native vocational training. 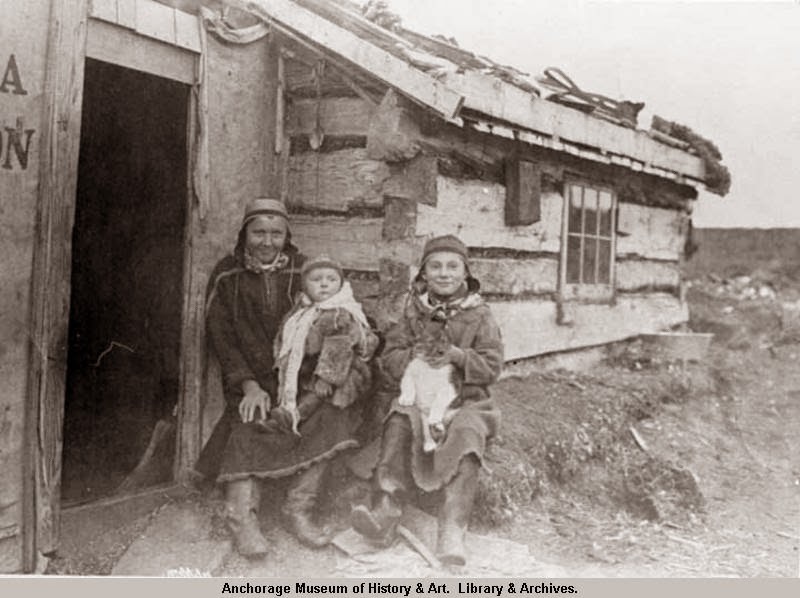 Alaska Natives and Saami then worked side by side, making connections still with Native Alaska today. "Laplanders milking reindeer at Port Clarence, Alaska, 1900." "Shows a man and a woman in traditional dress. "Photographer Hegg, Eric A. Date1900. Eric A. Hegg Photographs Order Number HEG544. U of Washington Special Collections. 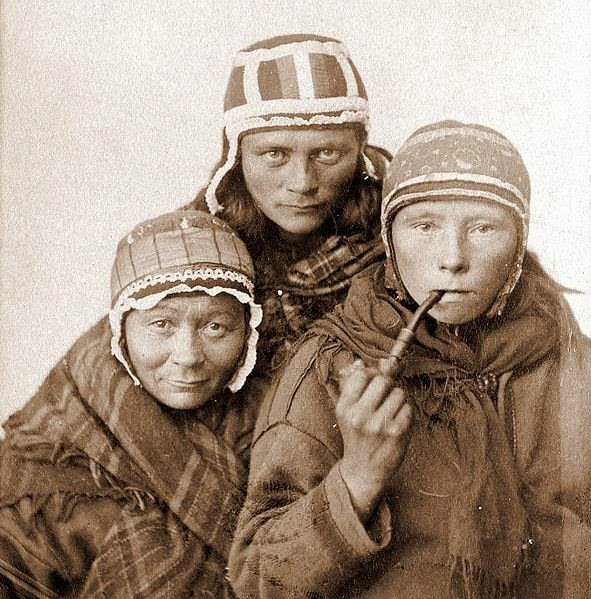 The migration of Saami workers into Alaska may have been influenced by political developments in northern Europe at the time. Norway in 1905 declared independence from Sweden as a nation-state. Borders between the two countries tightened and thus restricting transnational Saami movements. Traveling their cultural geography when herding also faced impairments with areas controlled by Russia. With the United States government concerned that the Saami owned and operated the majority of reindeer herds in the Alaska region they made a policy change. The government discontinued hiring Saami workers because the reindeer program's intent was to train Alaska Natives for the occupation. That is not to say the Saami left Alaska, or that they discontinued immigrating into the region or other parts of the nation. Because they faced oppression from European nations, when the arrived in the United States many chose to identify as Finnish, Norwegian or Dutch, as to escape persecution. People are often surprised when they meet Alaska Natives with Nordic last names, but if ones spend anytime in the region, or knows people from Native Alaska, then they would be too aware of the splendid array of surnames we have that are derived from Saami geographic areas. Some of these last names may have been assumed when Saami made their homes in Alaska Native villages, marrying into Indigenous families. Though my archival work in this area proves limited, I will admit that I find the lack of photographs containing Saami with Alaska Natives unusual yet unsurprising since both were subject peoples. Here is a link showing two major reindeer routes through Alaska.